NEW DELHI, NOVEMBER 29: IBM (NYSE: IBM) and IIT Delhi announced that the university will join the AI Horizons Network as part of a multi-year research collaboration on artificial intelligence (AI). The aim is to discover novel AI techniques which can help organizations take informed decisions by being able to logically reason with their AI systems. AI solutions will be trained to comprehend complex questions using natural language techniques and derive new insights using domain knowledge. “While working with AI systems, organizations require explicit reasoning and comprehension to reach a particular conclusion. We believe advancement in AI can tackle such problems,” said Michael Karasick, Vice President, Global Labs, IBM Research. 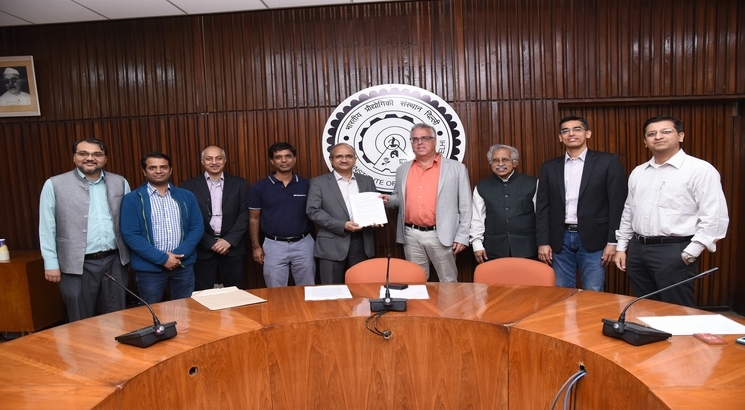 “We are excited to collaborate with IIT Delhi to focus on this area of research and empower organizations to make informed decisions by infusing key characteristics like reasoning, comprehension and transparency in their AI systems.,” added Michael Karasick. IBM researchers will partner with students and professors from the Department of Computer Science and Engineering at IIT Delhi to address this issue and conduct joint research to inculcate in AI systems some key traits like reasoning, comprehension and inferencing.